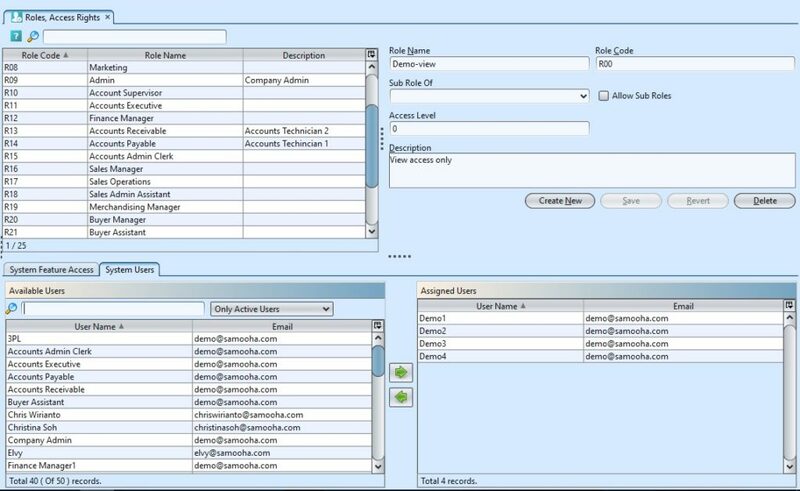 Assign & un-assign user to/from the role. 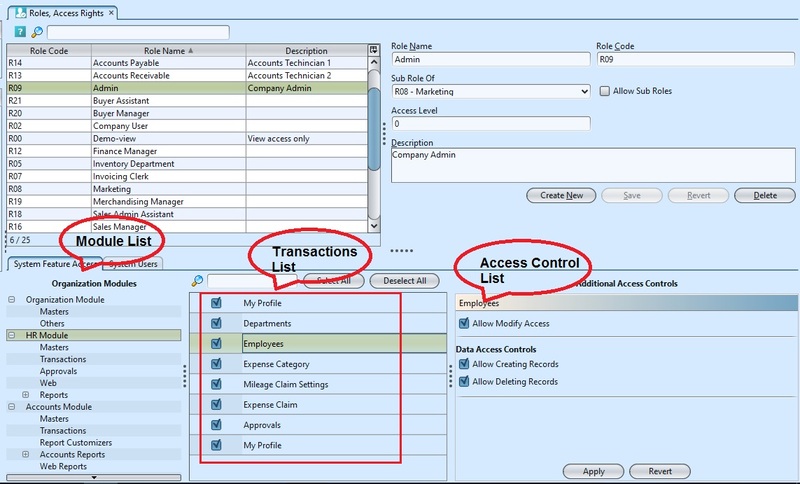 Apply system features access level for the role. 2. Fill up the information on top right of screen. 4. Optional: User may select a parent role from “Sub Role Of” drop down list, if the role is a grouping role (see steps #3 above). 1. Click on a role in the list on top left of screen. 2. On “System Users” tab, select a user name from the “Available Users” list and click on the “ ” button to assign the user for the role. 3. Select a user name from the “Assigned Users” list and click on “ ” to unassign the user. 1. 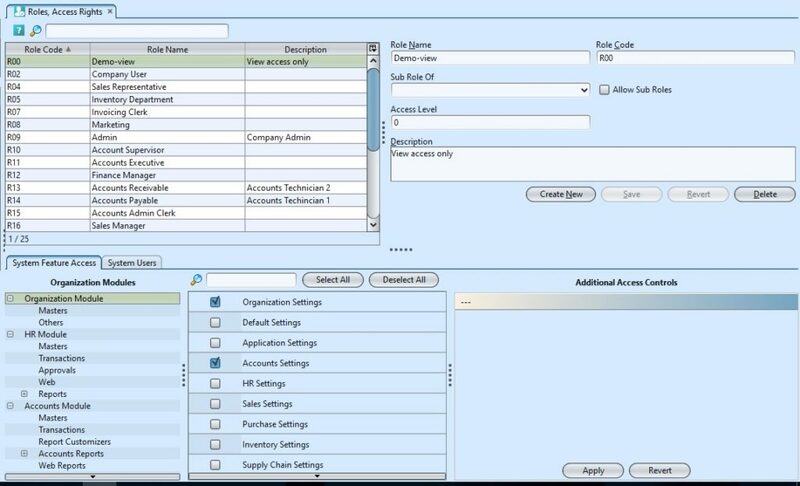 Select the role to modify from the list on top left of screen. 1. Select the role to delete from the list on top left of screen. 1. Select the role to modify system features access level from the list on top left of screen.